(Phys.org) —You might think every company will use innovative technology it receives for free if that technology can increase profits by more than 10 percent. Professors Eric Verhoogen and Amit Khandelwal discovered that is not the case. In their research on soccer ball manufacturers, Verhoogen, associate professor in the Economics Department and the School of International and Public Affairs, and Khandelwal, Gary Winnick & Martin Granoff Associate Professor of Business at the Business School, found that how workers are paid, and whether or not incentives are offered, can promote or stifle the adoption of a new technology. The real-world experiment involved manufacturers in Sialkot, Pakistan, where about 40 percent of the world's soccer balls are made. 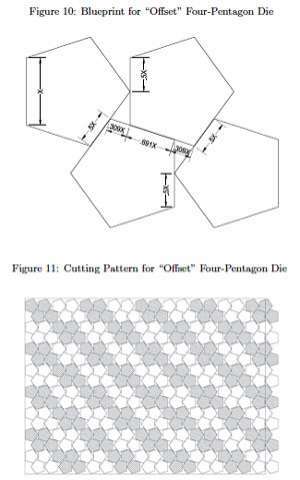 Most balls are stitched from 12 pentagons and 20 hexagons, but pentagons cannot be cut from a rectangular sheet of material without producing waste. With the help of a pattern-cutting video he found on YouTube and his wife, an architect, Verhoogen created a blueprint for a cutting die that results in less wasted rexine—the leather-like material used to make the balls. The researchers then presented 35 Sialkot manufacturers, randomly chosen among the 135 firms operating in that city, with the new die. It would increase the number of pentagons cut from a sheet of rexine from a maximum of 256 to about 272, decreasing waste. Despite straightforward evidence that the technology saves money, only five of the 35 firms given the die adopted it after 15 months. "We thought the firms we gave the die would adopt it quickly and our research would focus on the spread of the technology to other firms in Sialkot," says Khandelwal. 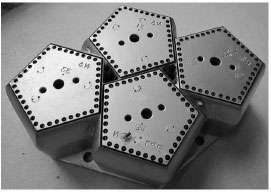 "It was very surprising to find that very few of the firms receiving the die were using it for production." With this evidence that offering access to a cost-saving innovation would not guarantee adoption, Verhoogen and Khandelwal hypothesized that the reason so few adopted the technology was a misalignment of incentives. In Sialkot, almost all cutters are paid piece rates, so they resisted using the new die because learning a new process would decrease their output and cost them money. There was no financial incentive for the cutters to reduce waste. In related work supported by a President's Global Innovation Fund (PGIF) grant, which offers support for faculty to use the resources at the Columbia Global Centers, Verhoogen is studying how different ways of paying workers impacts economic growth in Brazil. "Companies may have to change the way they pay workers in order for innovations to be adopted," says Verhoogen. "If workers don't expect to gain from adoption of new technologies, they won't support them and firms will be less innovative. Without changes, firms will continue to leave money on the table." One firm in Sialkot purchased the die on its own and began using it for 100 percent of their production. That firm pays salaries and performance bonuses rather than piece rates. With that in mind, the team, which included colleagues from Yale and the Lahore School of Economics in Pakistan, did a second experiment. They gave one cutter per firm a lump-sum payment, about one month's pay, to demonstrate competence using the die in front of their manager. More than 50 percent of those firms adopted the die. "This method—inventing the technology they are introducing—is unique," says Cristian Pop-Eleches, an associate professor in the School of International and Public Affairs, who is not involved in the research. "That fact enables the researchers to track its adoption from the moment it is introduced." Verhoogen says the government of the province of Punjab, where Sialkot is located, was influenced by their research to create a matching grant program designed to subsidize innovation. "If your firm comes up with an innovation and it spreads to my firm, that's good for me but bad for you. I'll be able to compete even though I invested nothing," says Verhoogen, director of the new Center for Development Economics and Policy at the School of International and Public Affairs. "There's a role for government intervention to stimulate innovation across the sector as a whole, to help sectors create more jobs and compete globally." The big picture of their work, Verhoogen notes, is poverty in developing countries and how people there can become richer. "We want to inform industrial policy and ultimately create growth," he says. "Now that we have a larger number of firms using our die, we will be able to see if the technology spreads to other firms. If it does, we'll have made a case to policy makers that governments should intervene in industrial sectors to subsidize economic growth." Is there really cash in your company's trash?